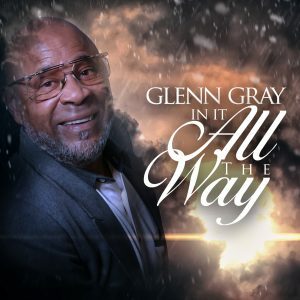 With a career spanning over 2 decades of music ministry and 4 recording projects, singer and songwriter Glenn Gray continues to offer his unique brand of music with a message with inspiring lyrics and melodies. Following suit, the Flint, Michigan resident delivers his new single, In It All the Way, available today on all digital music platforms. “I’ve been doing this for a few years now, and I have many experiences, some good, some not so good along the way,” says Gray. “I am grateful that I have been blessed to see God clearly, even in the rough places. My wife was a huge part of my support system and the Lord saw fit to take her home to be with him. Throughout the whole ordeal, I was comforted by my faith in God and in the power of his word. God defined his commitment to us by giving us Jesus. 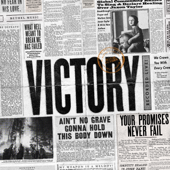 Now it is our turn, its time for us to Stand Up For Jesus. As believers. we need to take a stand and show our commitment to him. Either we are all the way in or we are not in at all. That’s the message of In It All The Way. I still believe a potent faith is a passionate faith, not just on Sunday, but every day of the week”. The single has been serviced to radio and is currently available on iTunes, Amazon and other digital outlets. Gray is putting finishing touches on his latest album, which has a street date of early March.